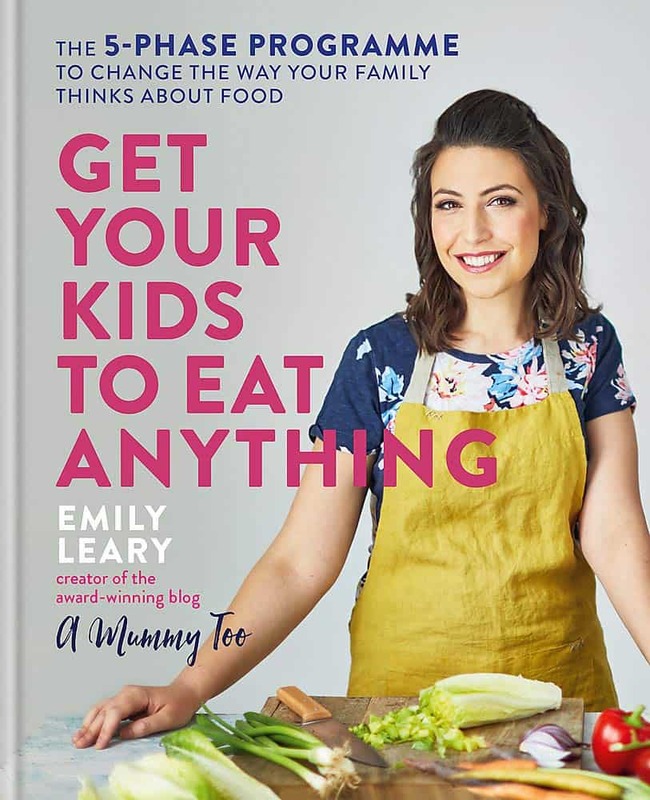 I am so excited to introduce you to this brand new debut cookbook from award-winning blogger Emily Leary. Get your kids to eat anything is a wonderful investment for your family. It is in an investment in your kid’s health, future and social world as well as a saver for your time and energy. It is a 5 phase programme designed to encourage, introduce and get kids excited by a range of food. 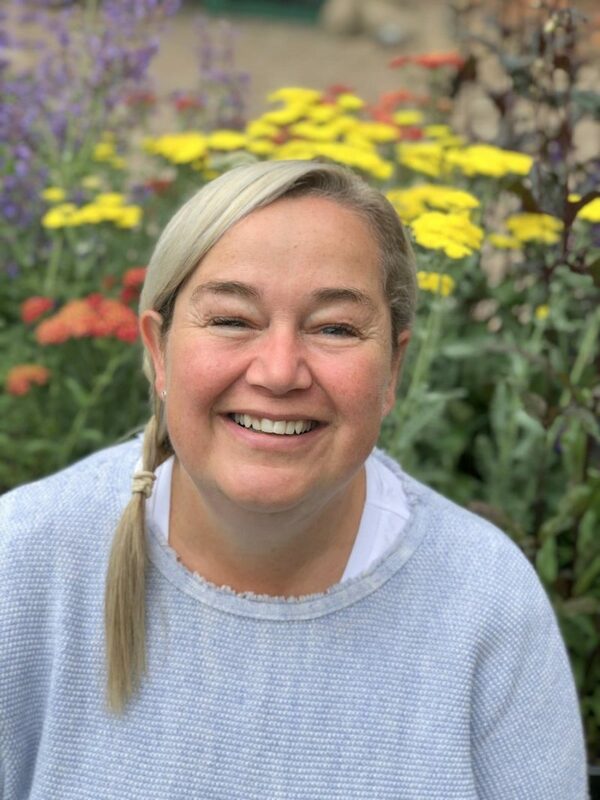 The book contains brilliant steps on how you can do this focussed on making the unusual part of every day and making food and exciting adventure. It also contains a host of beautiful, simple recipes including ingredients that can be easily accessed at your local supermarket and often just from you store cupboards. Now that is totally in line with those here at Eat Simply. The many benefits for kids who eat anything. Encouraging children to eat anything is brilliant in terms of time -just cooking the one meal is such a time saver. Encouraging children to eat anything is also brilliant if you are travelling – they will be so much more willing to try local foods and eating out will be easy. Encouraging children to eat anything is fantastic in terms of saving money – cooking just the one meal for everyone and having kids that will eat leftovers too is such a money saver! Encouraging children to eat anything is wonderful in terms of their health and wellbeing. 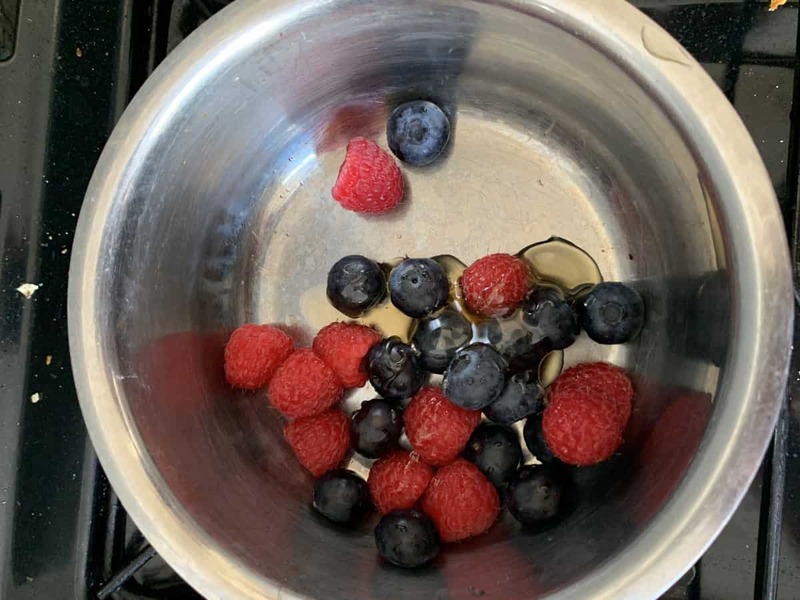 Getting kids happy to eat fruits and veggies and fibre and proteins and in fact, a full balanced and varied diet is good for their health now and when they are self-sufficient. 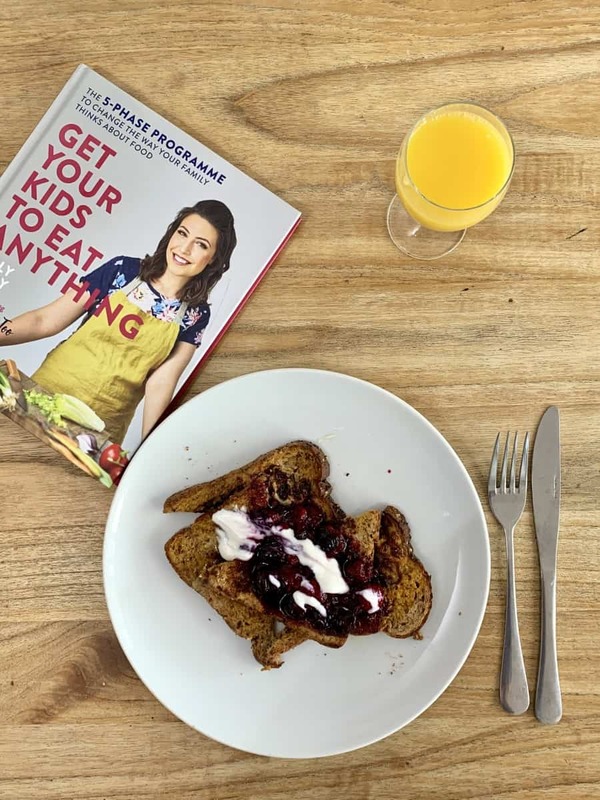 We made Very Berry Toast this weekend – a recipe from the book. My kids have always refused to try eggy bread before but my goodness, this went down a treat! Honey, berries and ooh just a warming delicious eggy toast. A must try!